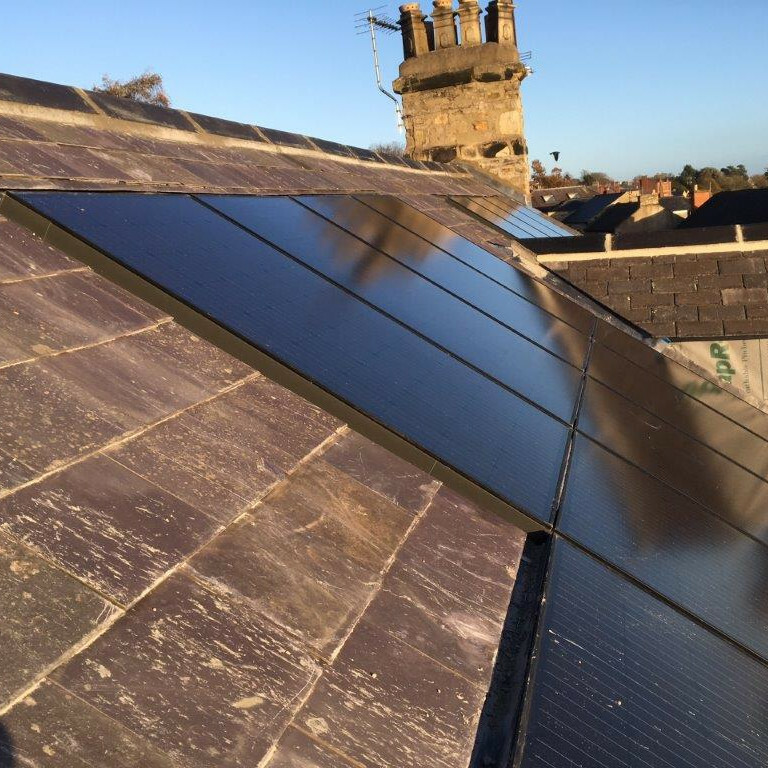 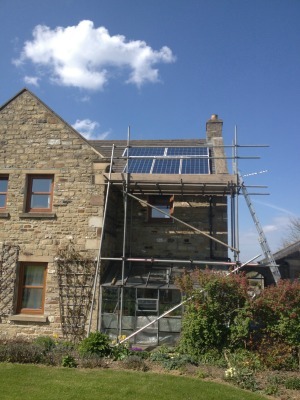 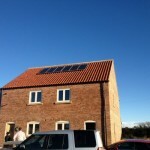 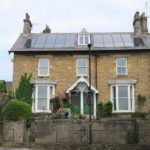 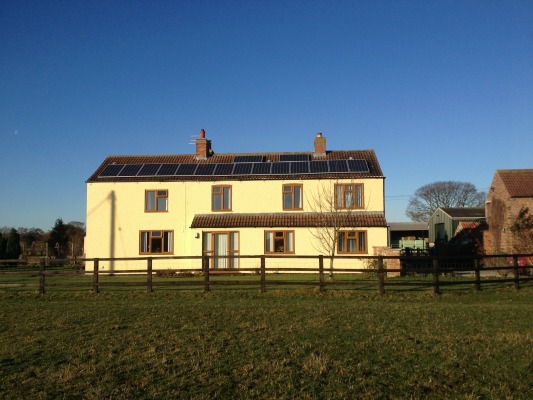 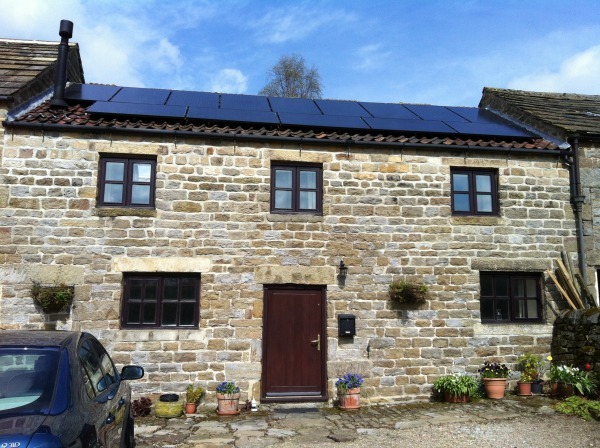 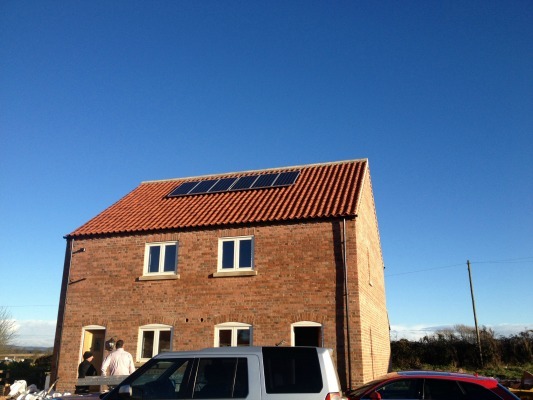 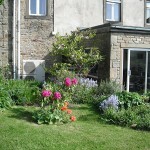 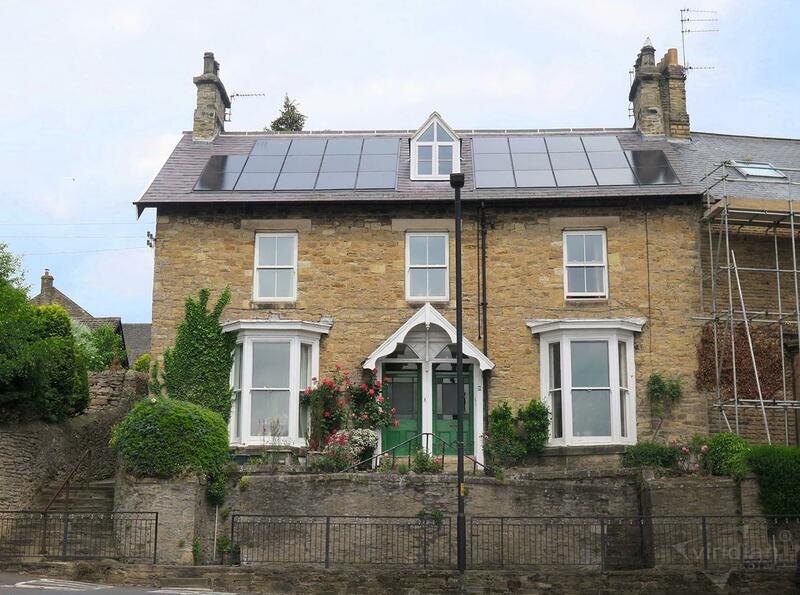 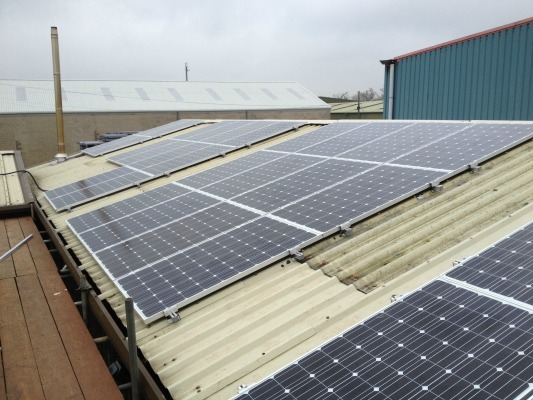 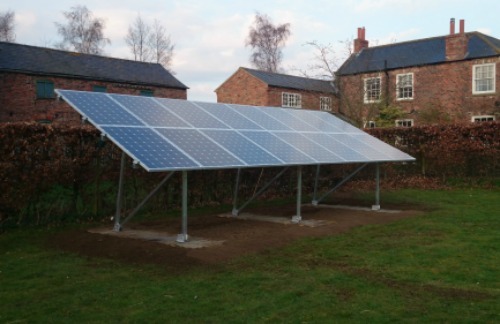 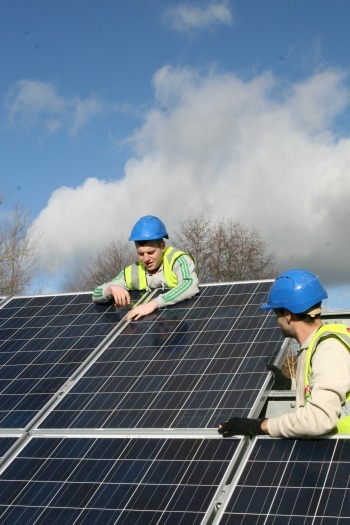 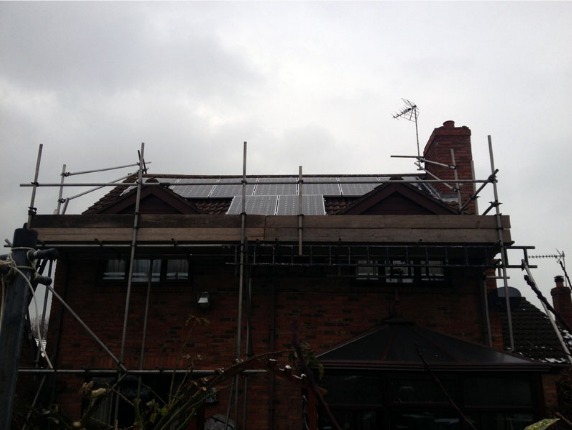 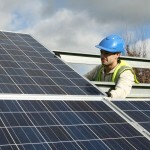 Yorkshire Energy Systems are dedicated to energy efficiency. 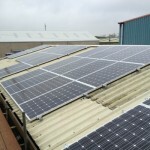 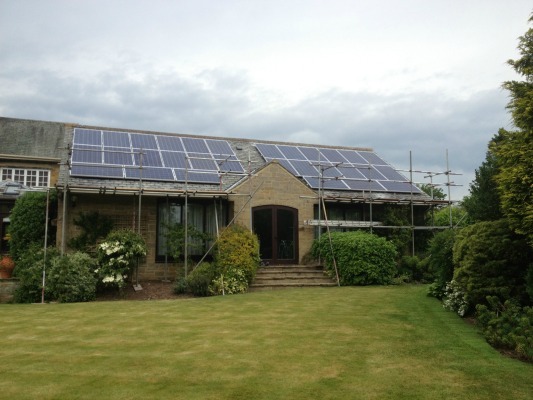 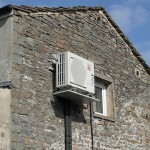 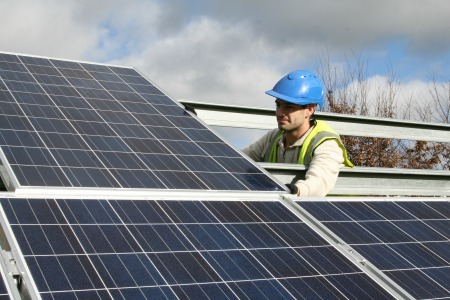 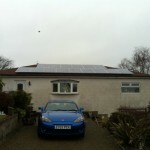 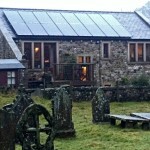 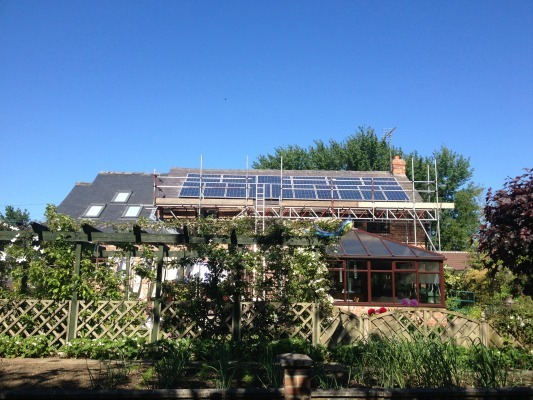 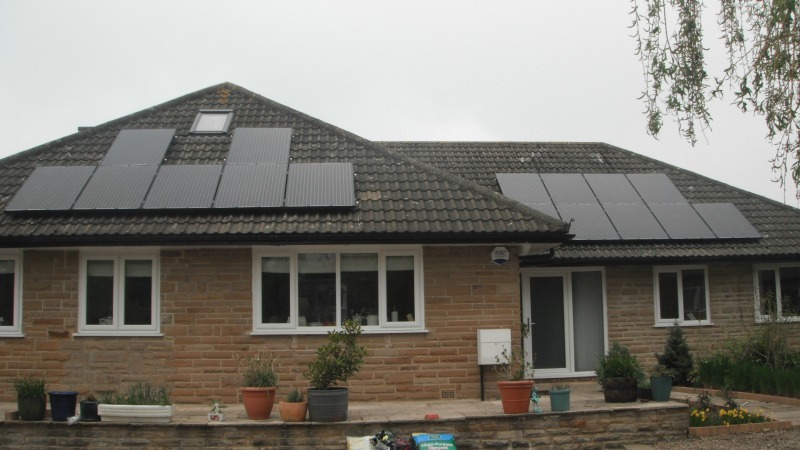 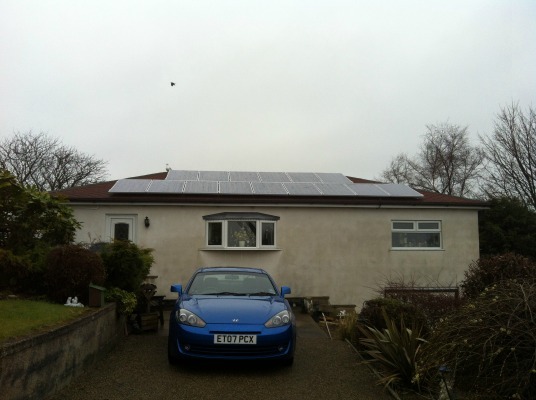 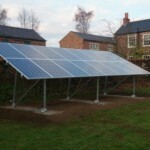 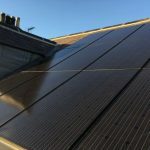 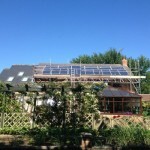 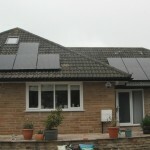 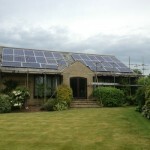 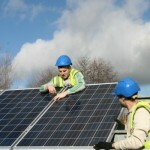 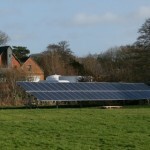 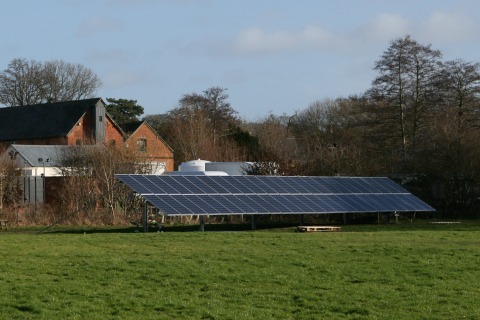 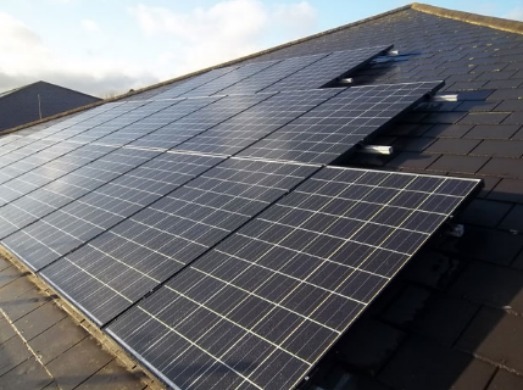 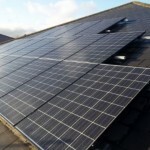 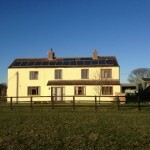 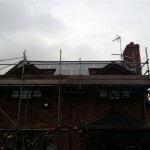 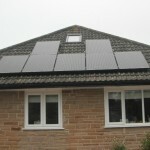 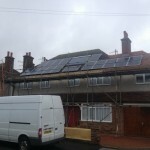 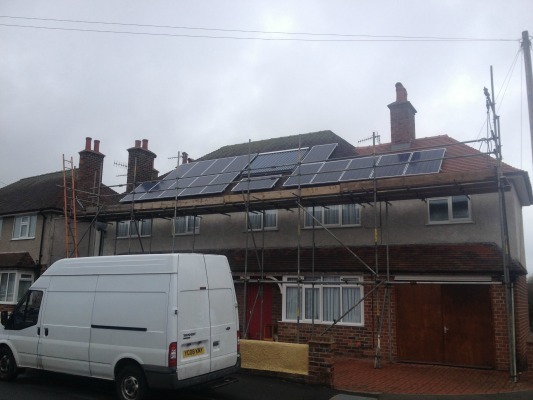 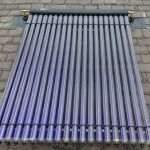 In our gallery you can view various installations of heat pumps and Photovoltaic-solar panels that we have carried out. 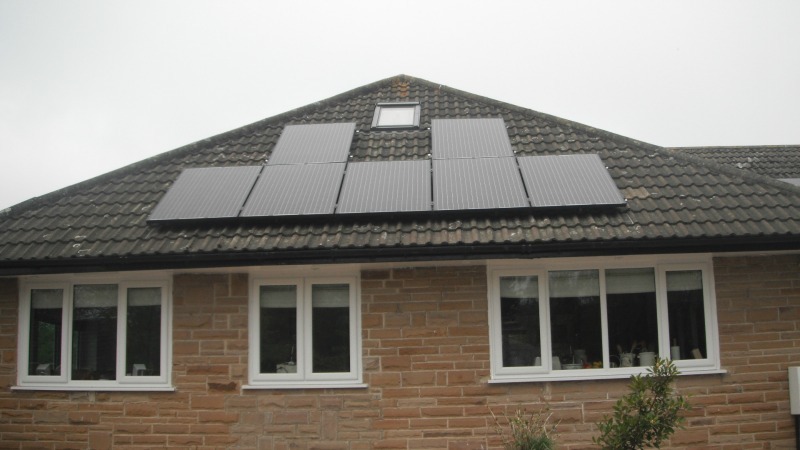 To discuss how we can help you or more information about a new central heating system and the advantages of solar panels, thermal, ground or air source heat pumps, call today and ask about our free survey for your home or business. 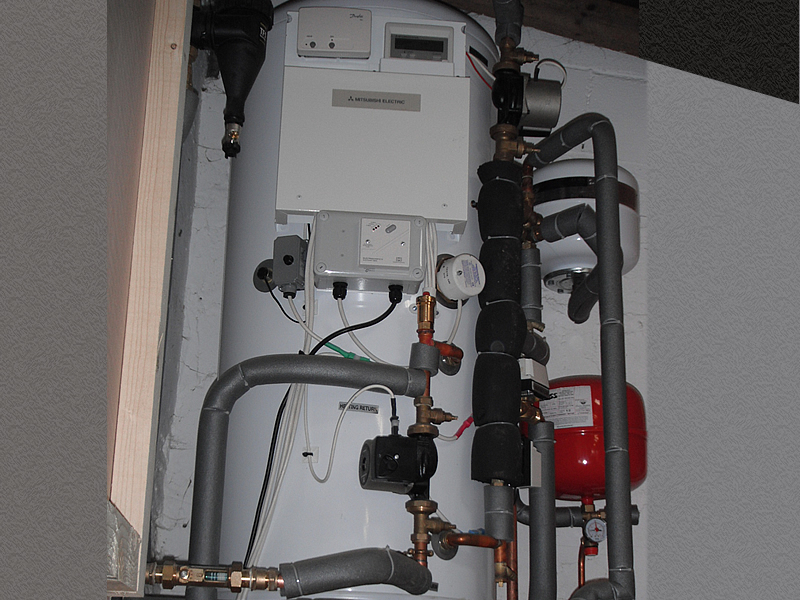 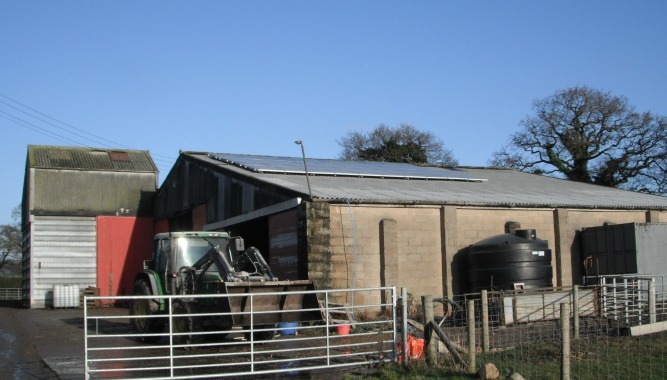 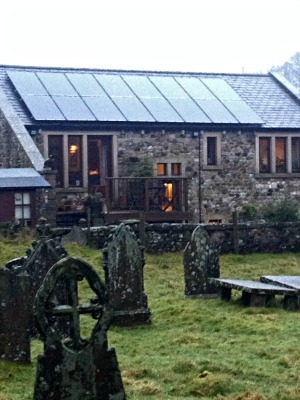 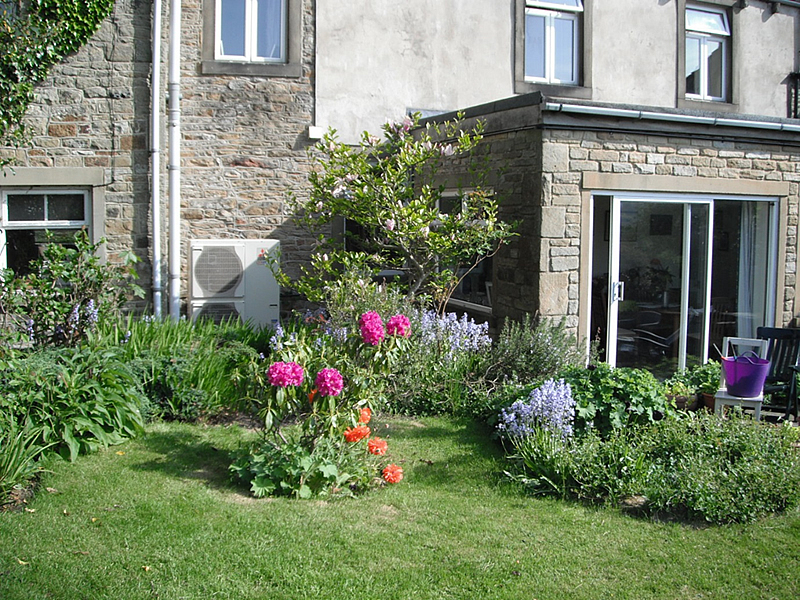 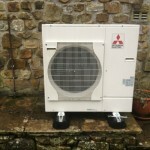 A 14 KW Ecodan pump heating a large old farmhouse near Skipton. 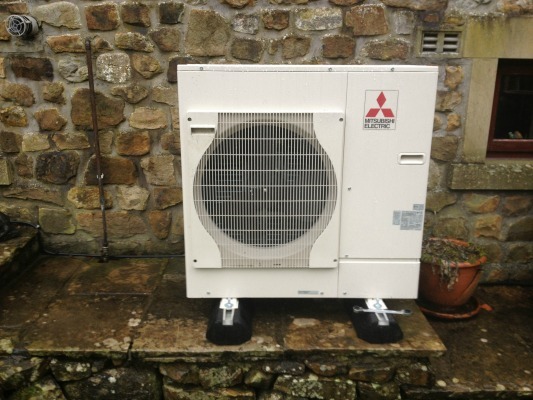 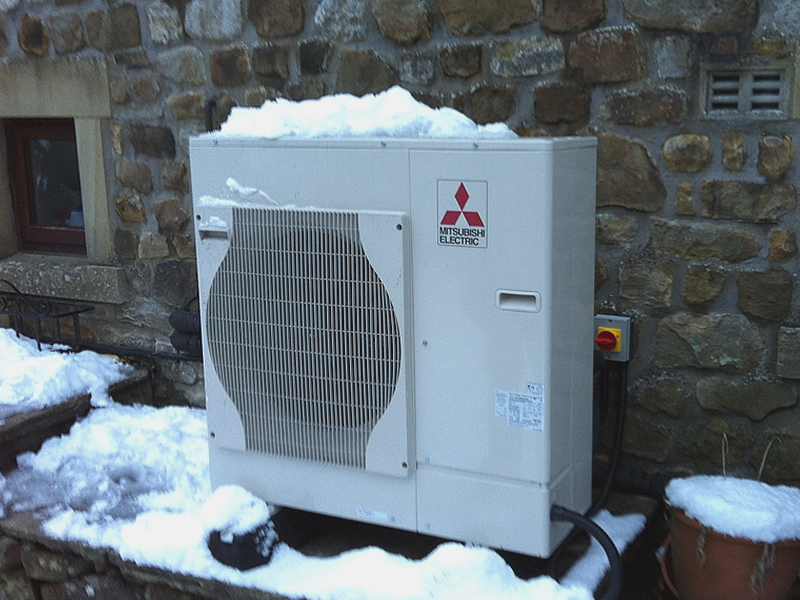 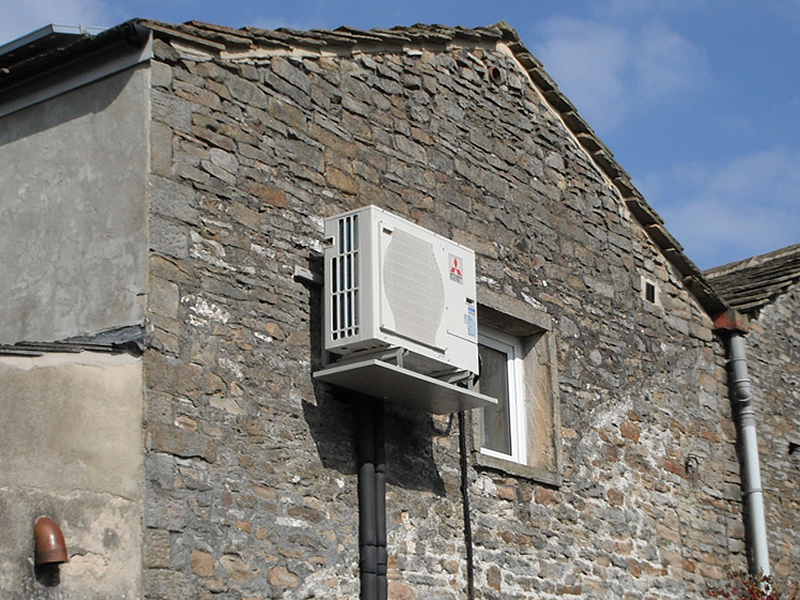 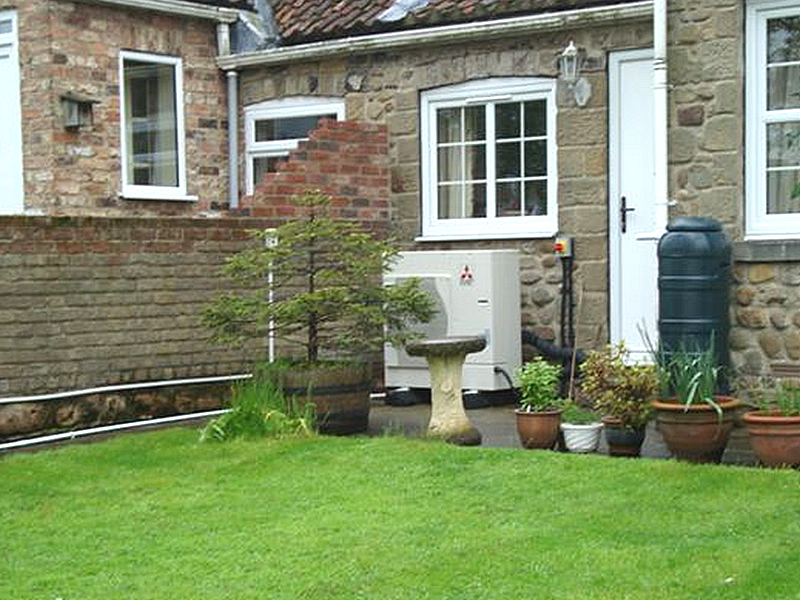 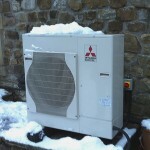 A wall mounted heat pump fitted by Yorkshire Energy Systems. 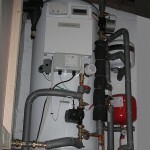 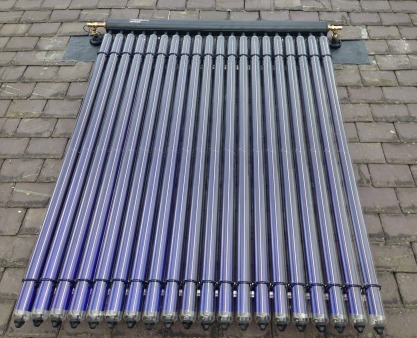 Typical cylinder arrangement for heat pump. 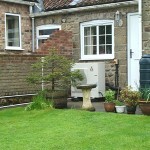 A seagull inspects one of our installations in Whitby. 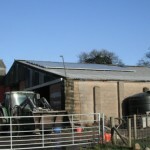 Black panels on dark slate roof to minimise visual impact. 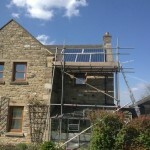 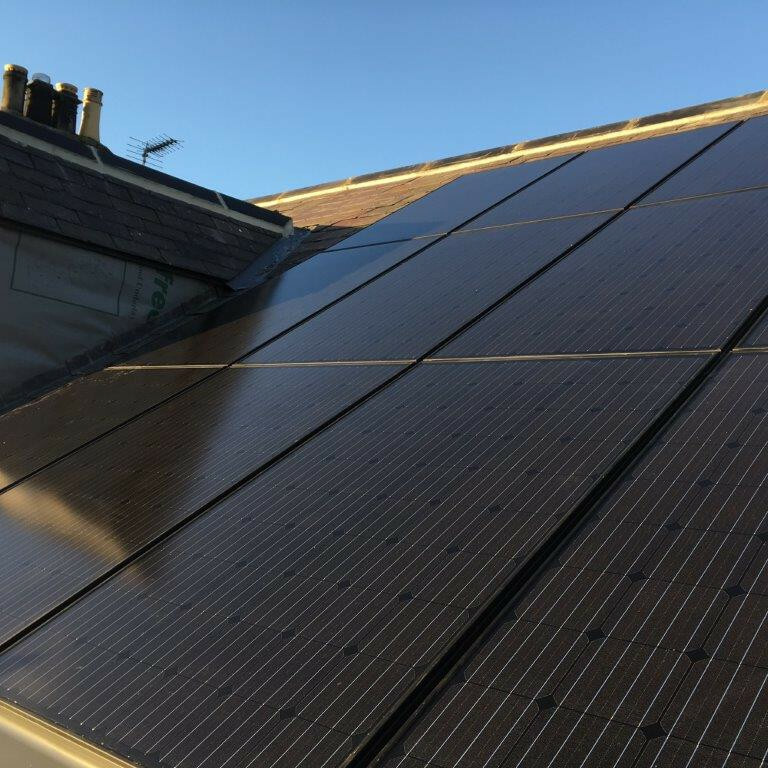 All black panels on a bungalow in Harrogate. 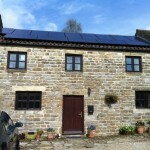 All black panels on a barn conversion in Smelthouses.